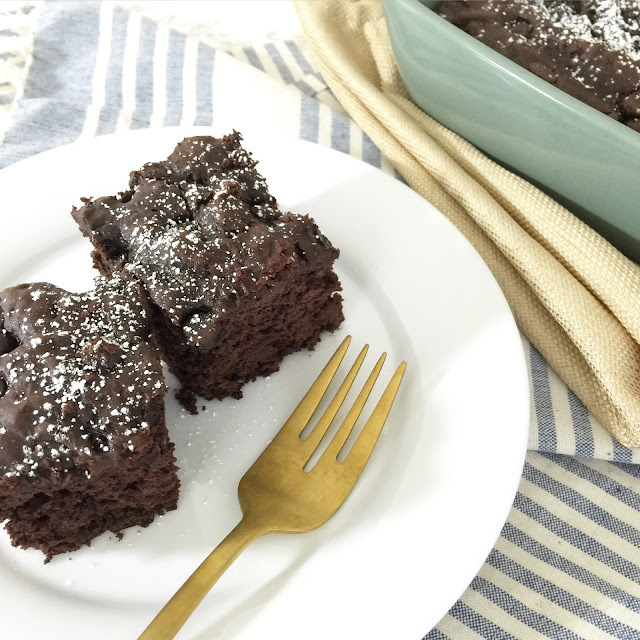 I'm all about sweet treats, and it's a bonus when those treats can be "healthied" up a bit! AND, when they are simple to make (and only have two ingredients...) it's a total win! 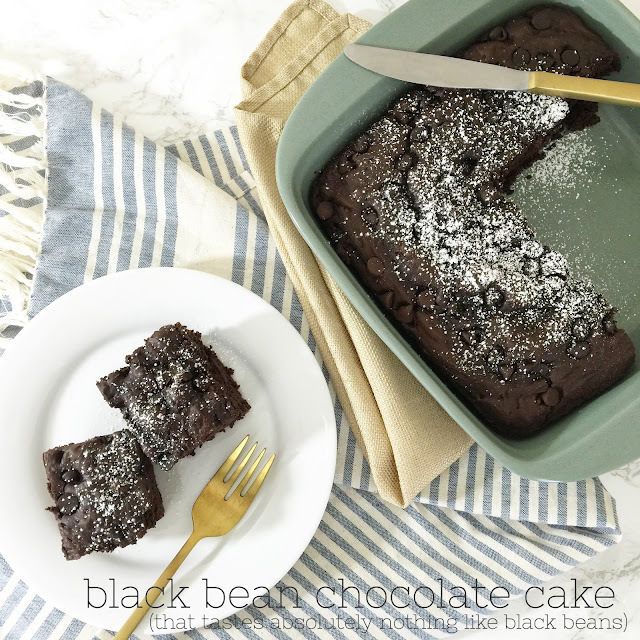 Que: black bean chocolate cake! Pour the whole can of black beans into a blender and puree. Once pureed, slowly add the cake mix into the blender. The batter will start to get pretty thick, so you will need to stop the blender and help stir every now and then. Next, pour the batter into a greased 9x9 pan, top with chocolate chips (optional, but obviously a very good idea! ), and bake at 325 degrees for 30-35 minutes. And tada! 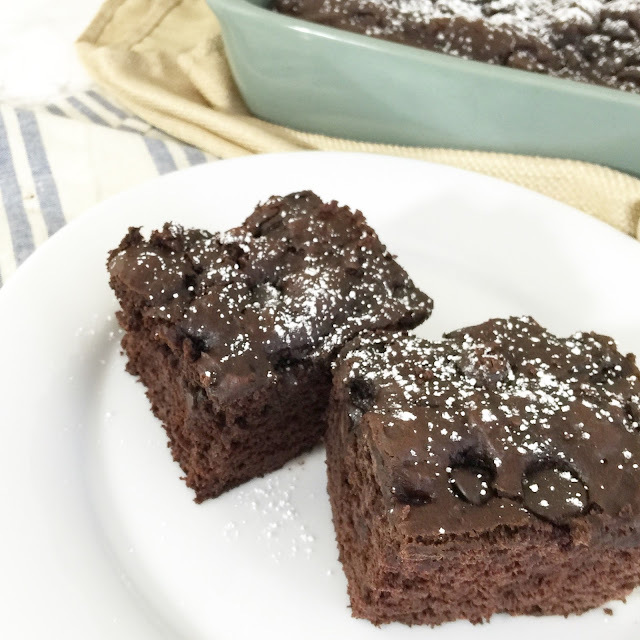 A moist, delicious chocolate cake that tastes 100% like the real deal! Sprinkle a little powdered sugar on top or serve with a few berries (...or, if you're like me, a scoop of ice cream! 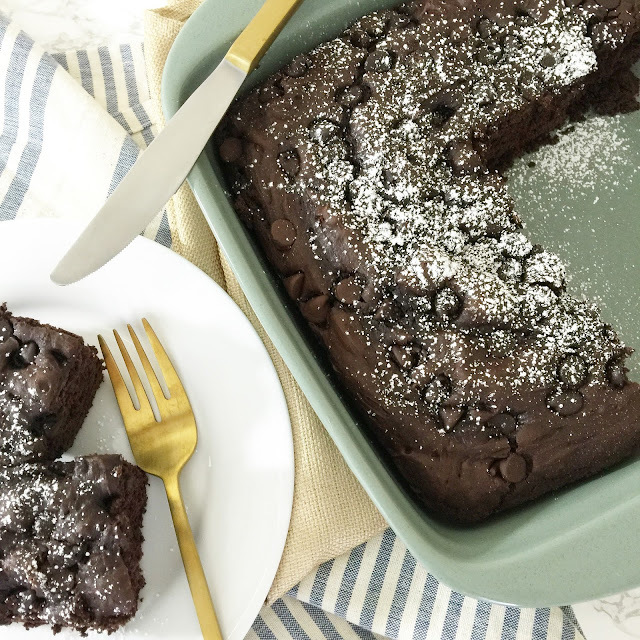 ), and you've got yourself a pretty perfect after dinner treat (that happens to have a little extra protein, fiber, and vitamins!). 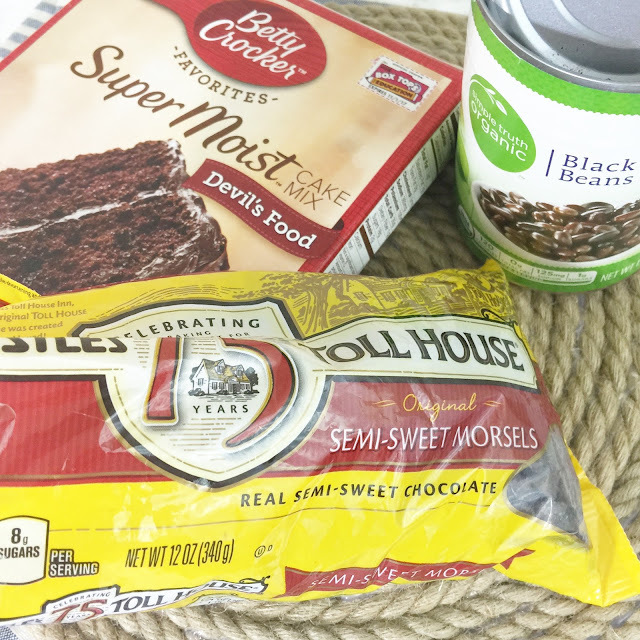 You can make black bean brownies by simply substituting the cake mix for a brownie mix! You can learn more about the health benefits of black beans here. How can this be real?! Haha. This looks sooo good, and I will most certainly be trying it. I love how you don't tell John until halfway through. So smart :) Thanks for sharing, and hope the end of the summer is treating you well girlie. I need to try these-- I can't imagine them actually tasting like real cake or brownies, haha, even though everyone says you can't tell! Not going to like, I was totally grossed out by the thought but these look AMAZING so I might have to give it a try! OMG! I am going to do this to Taylor! Great way to trick her into eating more healthfully! A friend of mine recently made this, and no one could tell the difference - truly amazing! Holy cow that's crazy. Kinda freaks me out thinking about black beans in my brownies butttt I trust your opinion. Trying these soon! I think I will try this. I would have to tell my husband about the beans afterward, though, or he wouldn't try these. Who knew?! May have to give these a try!